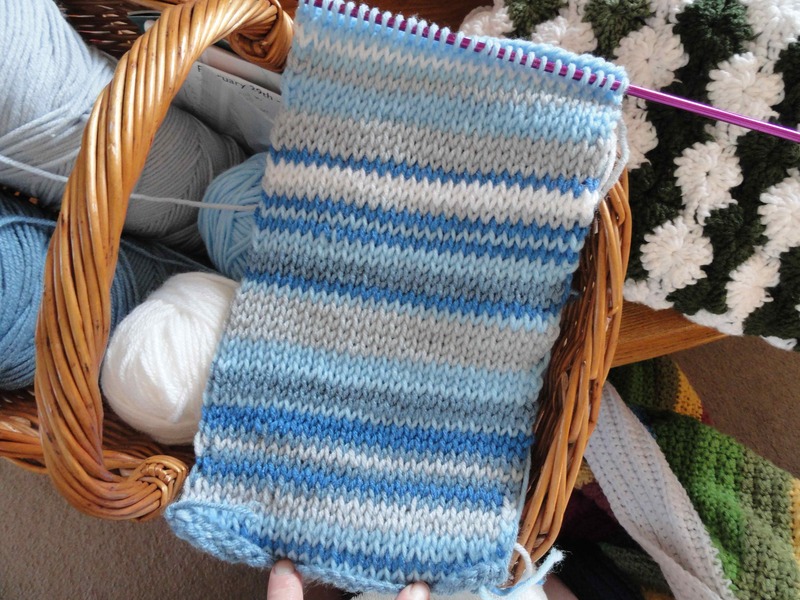 Just a quick update on my sky scarf project. Looking good. And hurray for blue sky! Thanks 🙂 I had to add white for the snow days!